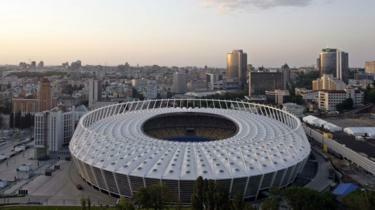 A date has not yet been arranged for the televised face-off, which will take place in Kiev’s Olympiyskiy Stadium. It comes days after Mr Zelensky, a comedian with no political experience, won the most votes in the first round of Ukraine’s presidential elections. President Poroshenko had earlier challenged Mr Zelensky to a debate before the first wave of voting. Mr Zelensky had initially agreed but later backtracked on his pledge, a move which drew criticism on social media. “You thought I’d run and hide…. no I’m not you in 2014,” he said, accepting the challenge and giving Mr Poroshenko 24 hours to reply. On Thursday, Mr Poroshenko responded with his own, more sombre video, insisting that the stadium event not become a “show”. “There’s no room for jokes here,” said Mr Poroshenko. Both candidates have agreed to cover the costs of the event, as set out by Ukraine’s civil society watchdog Opora. 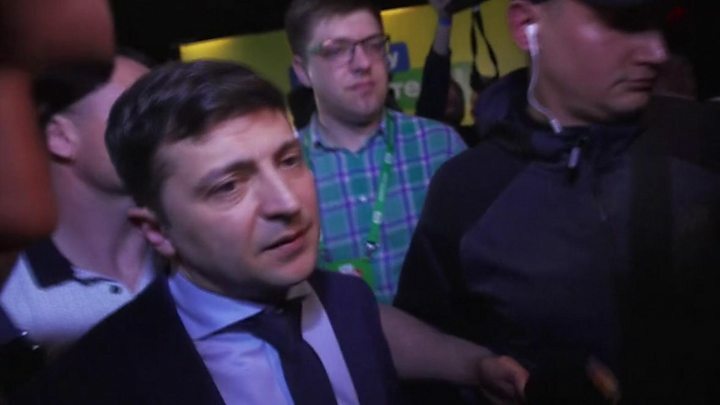 With half the ballots counted, Mr Zelensky – who plays Ukraine’s president in a popular TV sitcom – won about 30% of first round voting. Current leader Petro Poroshenko came second with 16%. Since none of the 39 candidates won an absolute majority, a second, run-off election will be held on 21 April.